The Rebel Sweetheart. : How To Advance Your Yoga Practice. 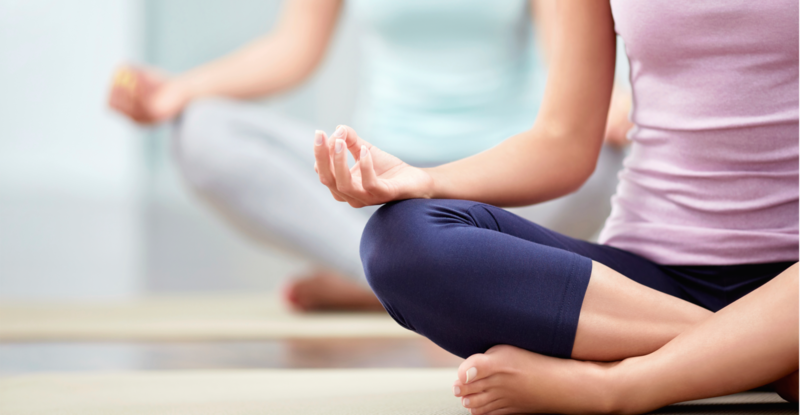 Yoga is one of the best ways to improve your physical, mental and emotional health. Not only is it a great strength and cardio workout, but it also can improve your overall mood and energy levels. If you've been doing yoga for awhile, you might feel like you're stagnant in your practice. It's easy to begin to get used to your yoga routine. Just because you've been doing yoga for a while doesn't mean that you don't have room left to grow in your yoga practice. To help you better develop as a yoga practitioner, here are some tips on how to advance your yoga practice. It's good to go to the same classes on a regular basis. This keeps you in shape and ensures that you continue to enjoy the mental health aspects that yoga has to offer. However, while having a routine can be healthy, it can also be a bit boring. If you feel like you're in a yoga rut, consider trying some new classes or styles. If you always go to the same power yoga class, consider trying a hot yoga class. You can also try more daring forms of yoga, such as partner or aerial yoga. You don't have to give up your regular classes, but throwing some new styles of yoga into the mix can be very beneficial in advancing your practice. One of the simplest ways to get excited about your practice again is by investing in some fun new gear. If you're using a simple mat, consider investing in a nicer one that will better cushion and support you while you move through poses. A few new outfits for class can also help you to feel better and more confident in class. If you do yoga regularly but feel like you aren't moving forward in your practice, your diet could be to blame. It's hard to exercise your way out of a poor diet. Most yoga professionals recommend a plant-based, low-fat diet for maximum performance in yoga classes. While you don't have to become a complete vegan, it is a good idea to add more fruits and vegetables into your daily eating plan. It's also a smart idea to cut back on fat and dairy if you really want to improve yoga performance. Yoga-based vacations are becoming increasingly popular. They're a great way to get reignite the spark that you have for your yoga practice. One of the most popular destinations for yoga retreats is India, which is where the practice was born. There are many luxury travel companies that offer packages for visits to India. There are also many yoga retreats based in the US and the surrounding islands. These retreats are a great way to be around other yoga devotees and to expand your practice. For many practitioners of yoga, training as a yoga instructor is an inevitable undertaking. There are few yoga devotees who don't eventually undergo teacher training after years of practicing yoga. Even if you don't plan to teach yoga professionally, teacher training is an amazing opportunity for anyone who's passionate about yoga. These courses usually only last for a few weeks, but they're very intensive. Students spend all day doing yoga and taking classes on the science behind the yoga lifestyle. It's a great opportunity to really take your yoga practice to the next level. It might sound counterproductive, but taking a few weeks away can sometimes help if you're feeling frustrated with your yoga practice. However, don't let this break turn into you just lazing on the couch and snacking on junk food. Instead, try some other athletic classes, such as Pilates or spinning. During your break from yoga, you can explore different forms of exercise and enjoy being a beginner again. When you return to the yoga studio, you'll have a new sense of excitement for your practice. If you follow these tips, you can reignite the spark that you have for yoga. No matter who you are, it's normal to occasionally get bored with something you do regularly. This is great information. I did Yoga about a year ago and I really enjoyed it. I need to start setting time aside a couple days a week and start doing it again. I have to admit that I have only done yoga once or twice with my sister. It is something I would love to start doing regularly. Thanks for sharing the tips and I will share them with my sister. Great tips! If you've been practicing yoga for a while, its a great idea to change it up for variety. Thanks for the inspiration!